Everyone with known Norwegian ancestry should join our national DNA project. By joining you contribute to our knowledge about haplogroup distribution in Norway. The statistics can only show results from members, so it is essential that as many as possible of the testers with a Norwegian ancestry join. Our lists of Y- and mtDNA results are an important source for Norwegian genealogy research. The lists show names, years and place for the earliest known direct ancestors (no living people) together with the haplogroup and subgroup result. This will assist people trying to confirm their direct paternal and maternal lines. The Norway DNA Project is thus a large dugnad for Norwegian genealogists to gather as much information as possible about the direct paternal and maternal ancestors! Project administrators can also be of help with interpretation of results and giving advice both for further genealogy work and what testing would be most useful as next step. We collaborate with Norway’s two largest genealogy associations: DIS-Norge and Norsk Slektshistorisk Forening, through articles, presentations and events. Who could and should join? 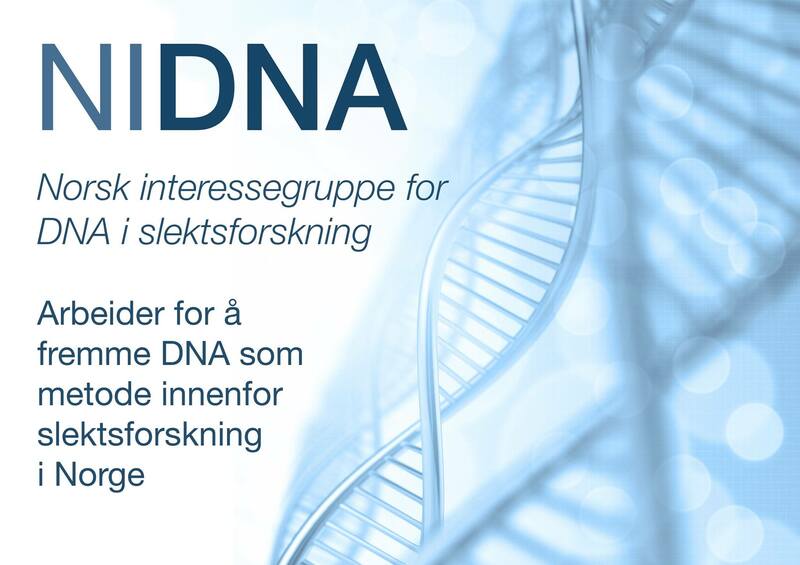 Everyone with known Norwegian ancestry having tested through FTDNA or Genographic is encouraged to join. Have you already got a test and kit number? If you have not yet ordered a test, remember to order directly from the Norway Project here.